iVoska is a large denim bag designed for carrying an iMac computer that can help quickly organize a workspace anywhere in the world. 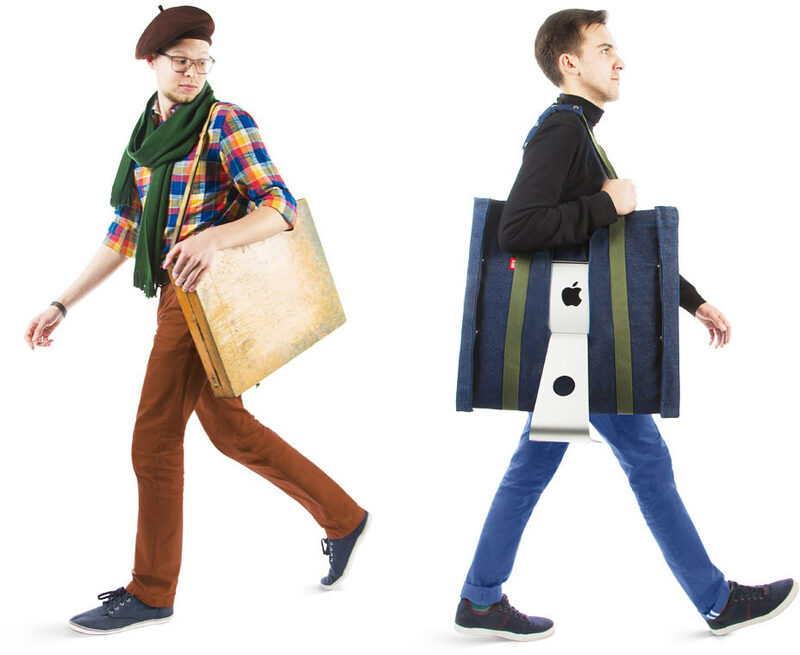 The bag is carried over a shoulder and allows to easily move the computer into a new apartment, take it to a service center or take it aboard a plane as a carry-on. 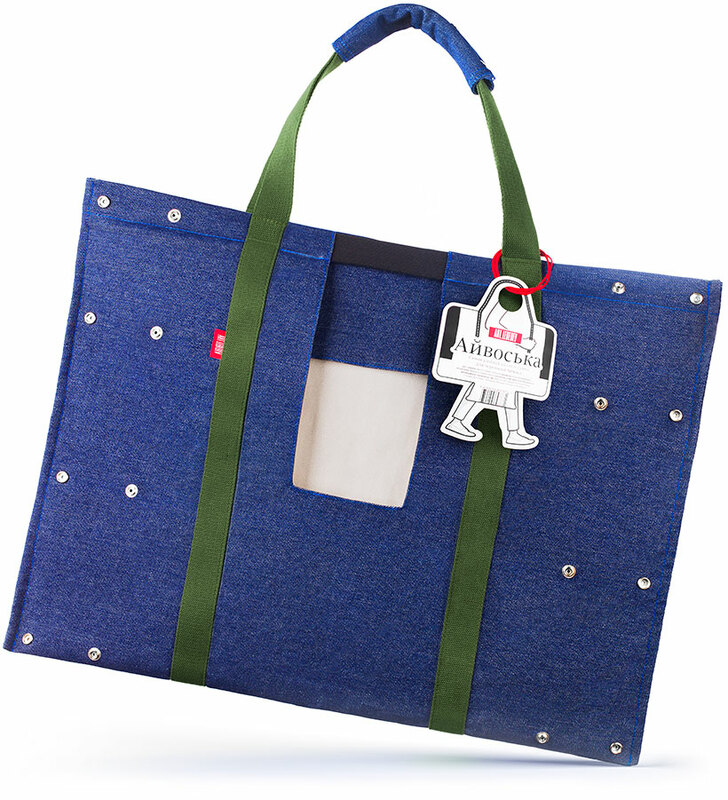 The bag is made of thick durable fabric and is equipped with sturdy webbing handles. Soft flannel lining protects the screen from scratches. The flap at the top shields the iMac from rain and snow.